Including 6, 8 or 10 night stays in a Royal Wing or Beach Wing Suite, delicious daily breakfast, return airport transfers, bonus meal, massage and more! 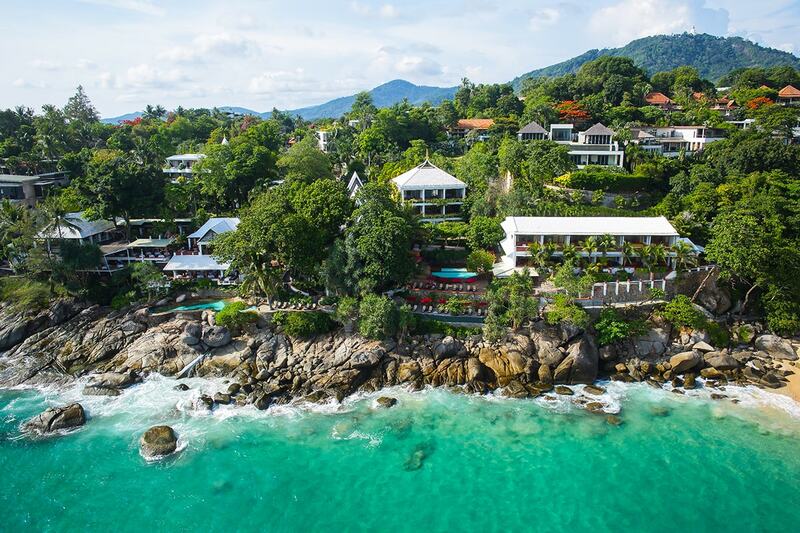 Located on a headland overlooking the Andaman Sea and the white sand beach of Kata Noi, lies the boutique 5-star Mom Tri’s Villa Royale Phuket. 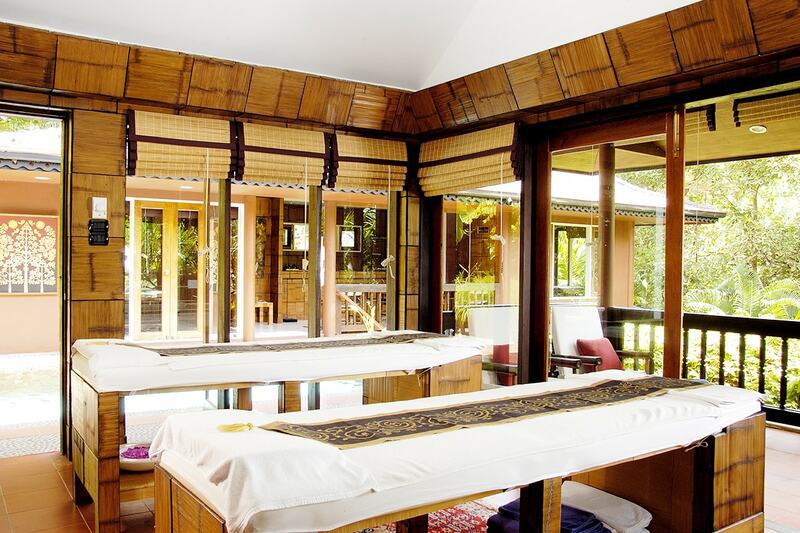 The resort boasts luxurious all suite guest rooms and first class facilities set amongst lush tropical gardens. 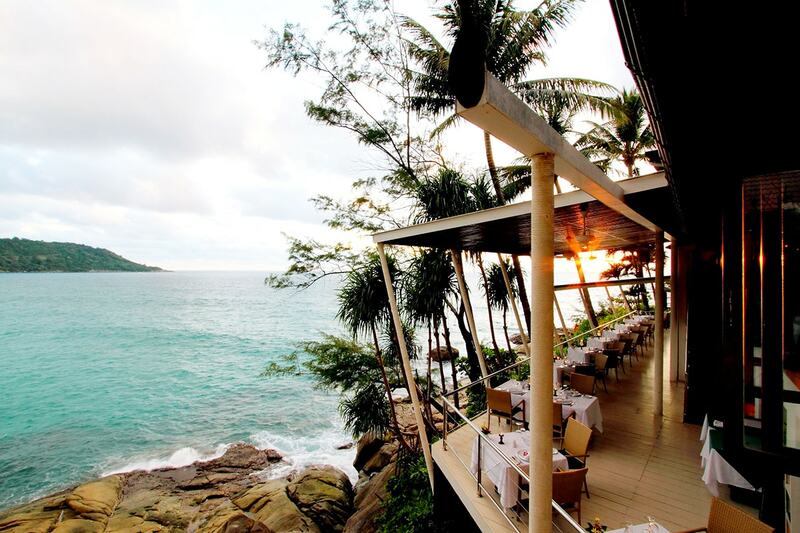 Landscaped into rocks overlooking the sea is a lovely saltwater swimming pool, plus two freshwater pools. 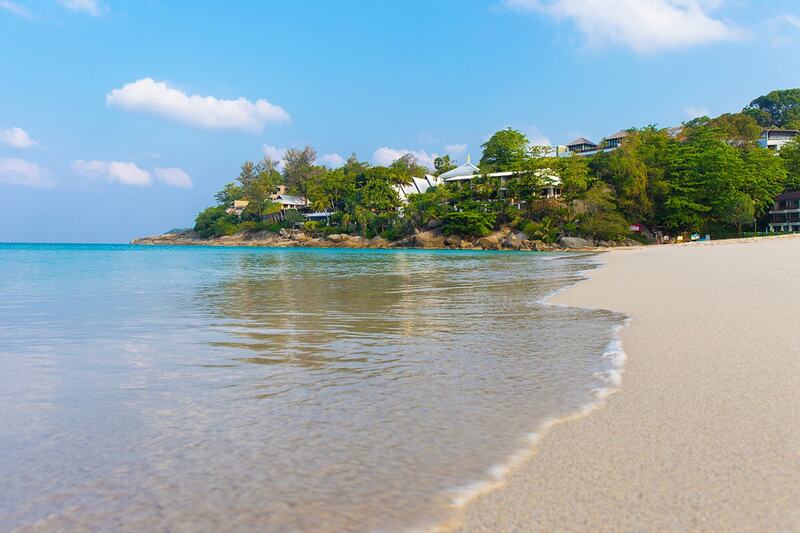 A private path leads to the white sand beach and the turquoise water of Kata Noi. Spend your days lounging by one of the swimming pools, being pampered in the day spa or dining at the delicious onsite award winning Mom Tri’s Kitchen. Your package includes 6 or 8 nights for 2 adults, breakfast daily, convenient return airport transfers, bonus dinner and more! 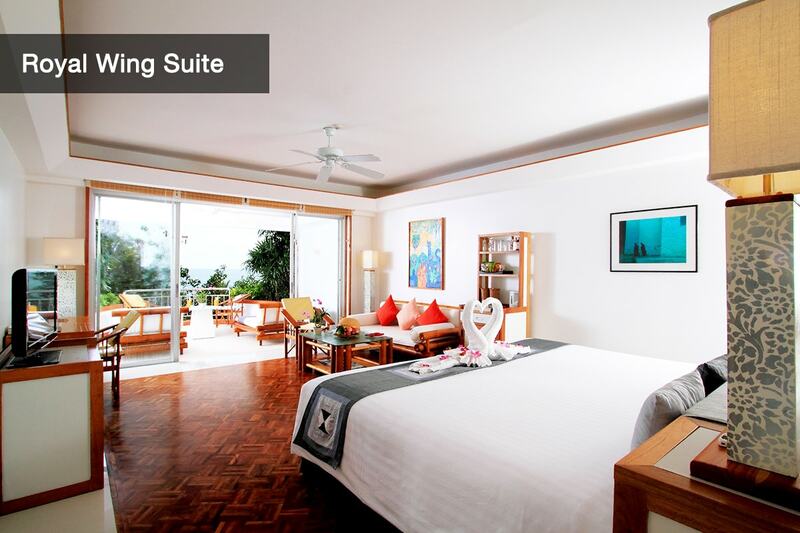 The spacious Royal Wing Suite offers Thai-style décor with an open plan sitting room, king-sized bed, private balcony or terrace facing the sea. Travel through to 31 October 2019! 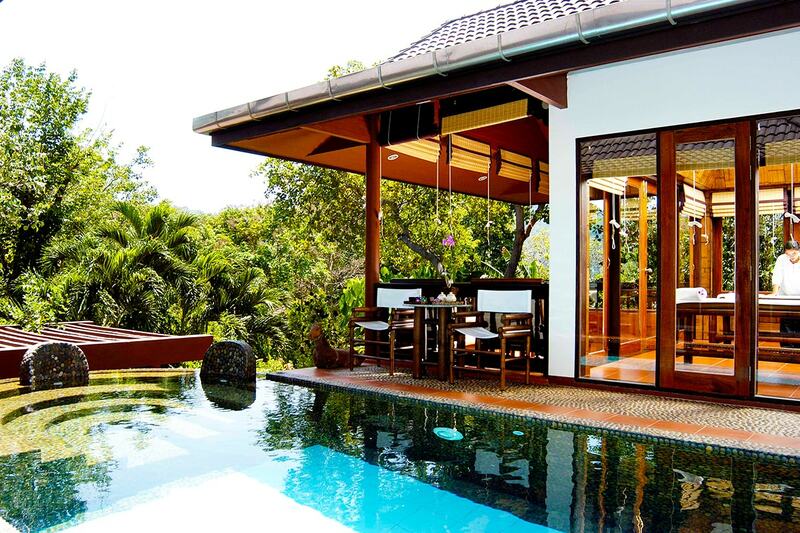 Your getaway is subject to availability at the time of your booking. We advise you to book early to avoid disappointment. 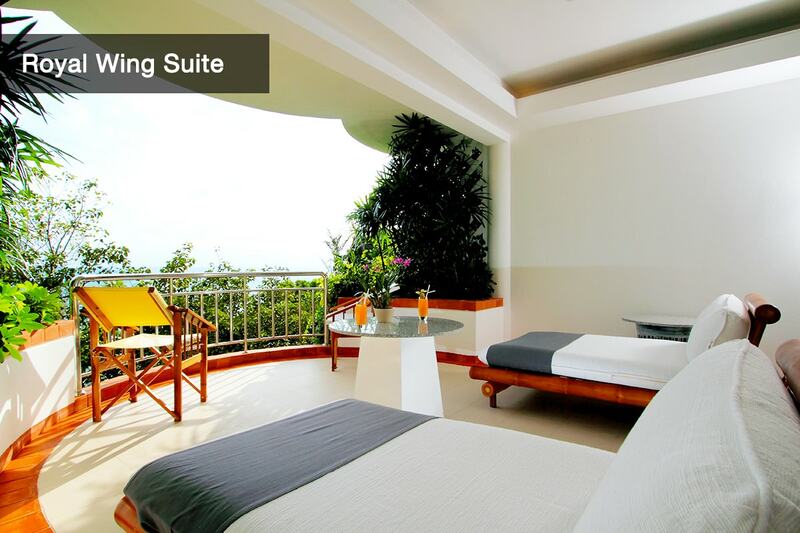 Royal Wing Suite: Built in 2009, suites are 65 square meters, spacious and contemporary with an open plan sitting room and an extra-large king-sized bed. 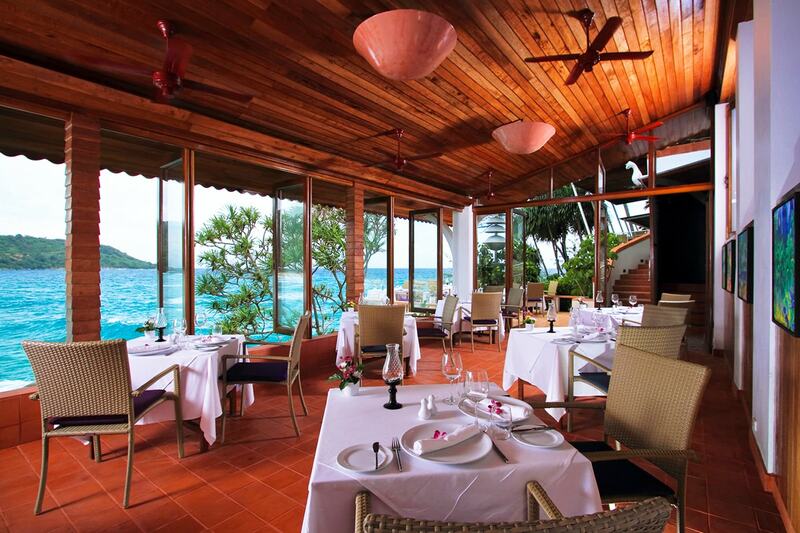 All rooms have a large balcony with a ceiling fan and two lounge chairs facing the sea. A large bathroom has an oversized bathtub and separate shower. 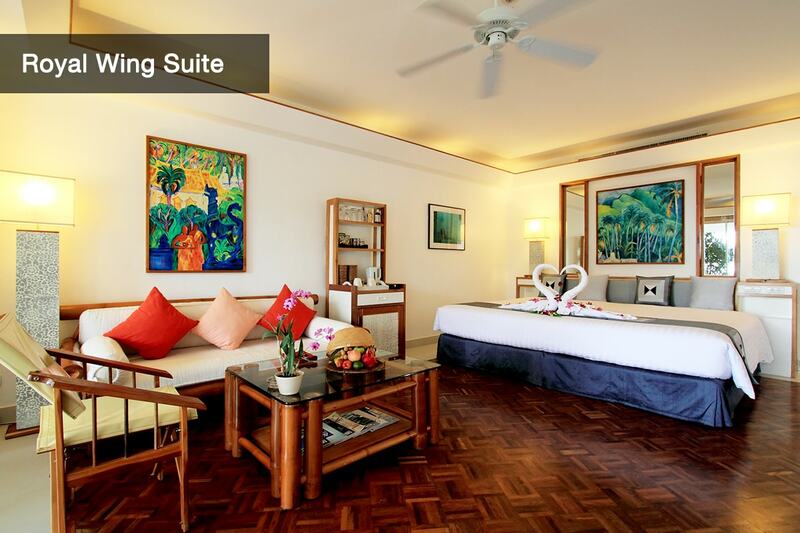 Beach Wing Suite: Built in 2009, suites are 65 square meters. 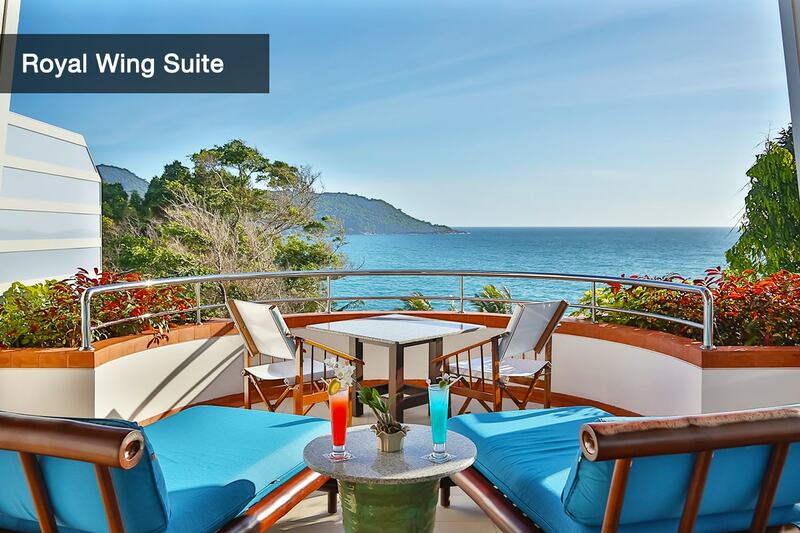 This specious Thai-styles open-plan living suite offers panoramic breathtaking sea views with a private balcony or terrace facing the Andaman sea. 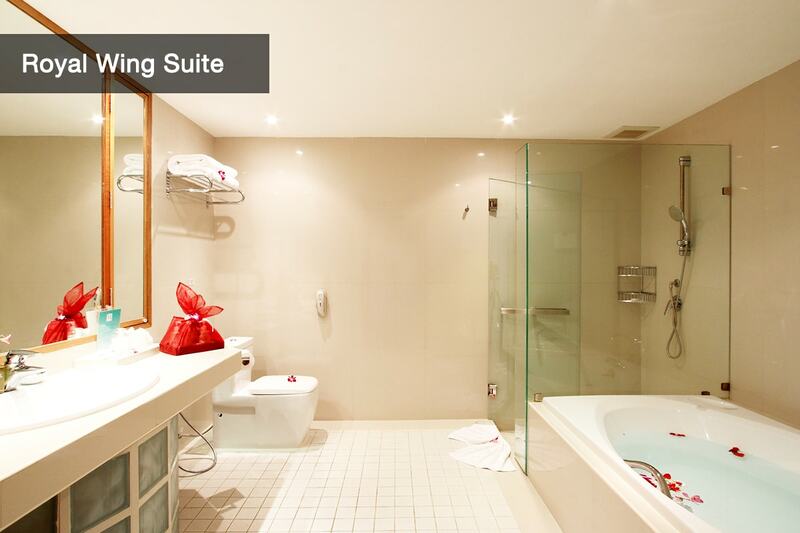 In all rooms, the bathroom has an oversized bathtub and separate shower. These rooms are situated in one of 2 low-rise oceanfront buildings accessible by a short set of steps.